So, What Does a Humidifier Do? When we’re talking about humidifiers, we’re speaking of whole-home humidifiers that go directly into your HVAC system. As your heating system distributes warm air into your home, a humidifier injects moisture into this air to balance your home. The ideal humidity level for your home is anywhere between 30% and 50%. Dry air is a detriment because worsens low air quality dries out your body, and dehydrates your furniture. When you think of humidity, you might think of it as a detriment to your comfort during the summer, but during the winter here humidity in the air acts as an insulant to keep you comfortable. When you have the right level of moisture in your home, you’ll still feel comfortable even with your thermostat set to a lower temperature in winter. Does your cold and flu season tend to stretch on much longer than most people? Your immune system might not be to blame. 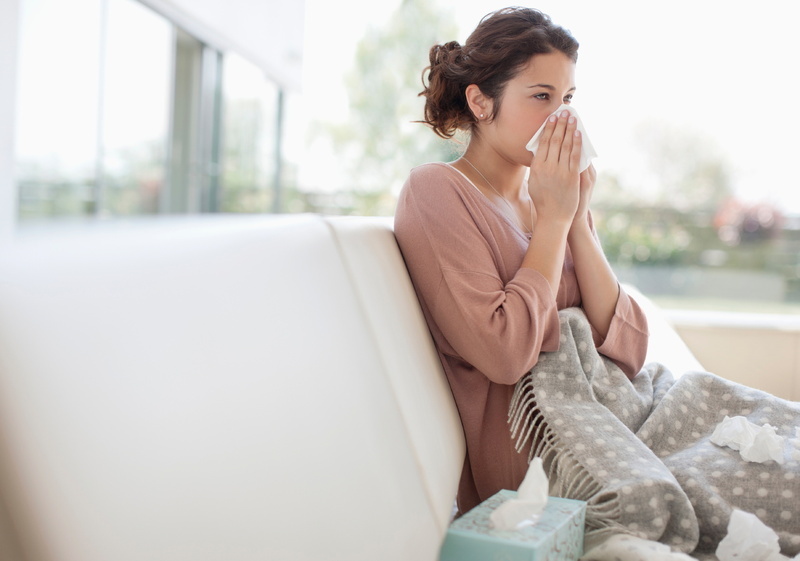 Dry air in your home dries you out too and your mucous membranes suffer. When your mucous membranes dry out, they crack and become the perfect breeding ground for viruses and bacteria. If your home’s air is always dry, then it makes it much harder for you to get over a cold because your body can’t remain hydrated. Sneezing, wheezing, and coughing all the time? Make sure your air isn’t too dry. Dry air only worsens any preexisting respiratory problems you might have. Problems like these include seasonal allergies, bronchitis, asthma, and many others. If you want to breathe easy, moisture is key. You’ve probably noticed that your body suffers in winter. Your skin feels tight and dry, your hair feels like hay, and your nails break easily. This isn’t by chance. Dry conditions make it hard for your body to thrive and adding moisture in the air makes your home more comfortable to live in. Have you noticed that the wallpaper in your home doesn’t look as good as it once used to? Or maybe that the wooden furniture in your home is warped and splitting? Dry air is the culprit. Materials like these are porous and when the level of moisture in your home is too low, they start to separate and crack. If you want to boost the indoor air quality of your home with winter, call PRK Services, Inc. and schedule an appointment to install a humidifier.